Ali and Drew were introduced to me by mutual friends sometime last year. I have the worst memory, so I can't remember exactly when we met, but I know that through our friends I would see them from time to time at parties or get togethers. 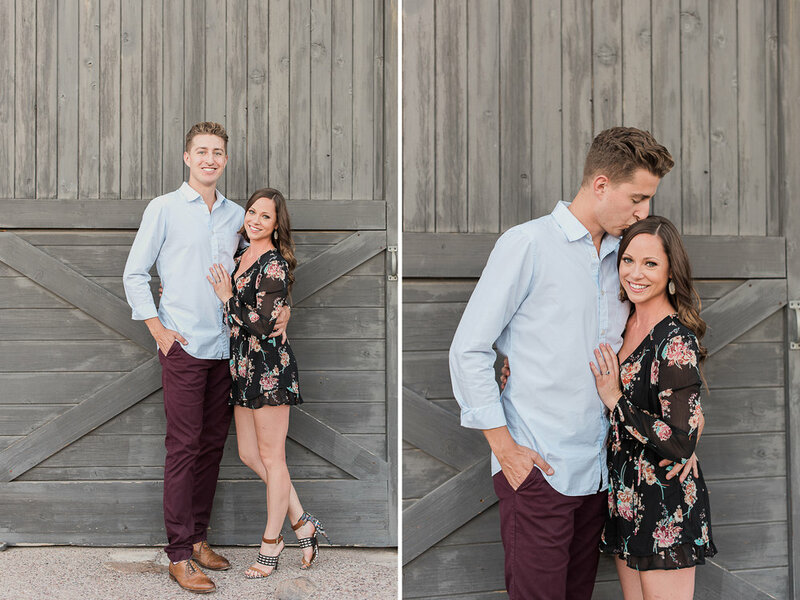 This past summer I saw Drew at a pool party and he said something along the lines of, "Hey I just got engaged and we might need a wedding photographer but you should probably meet my fiancee, Ali, and let her decide." Ali and I immediately clicked during our coffee date just a couple weeks later. 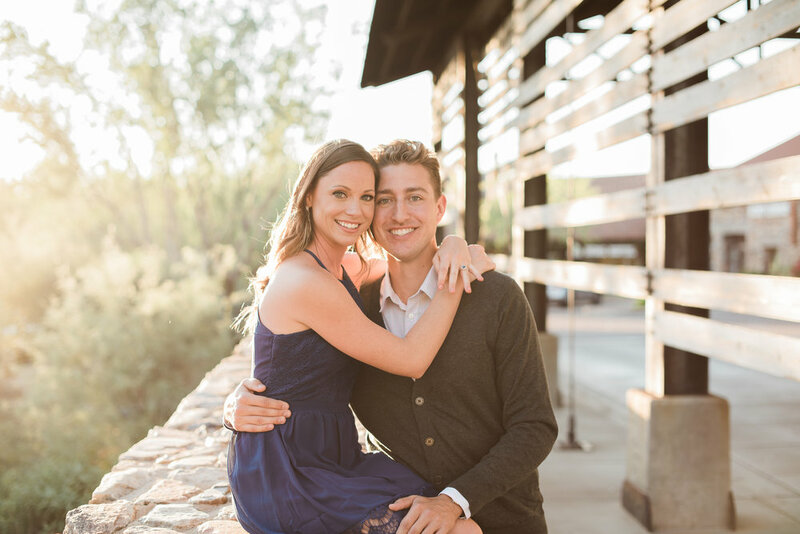 I loved listening to her tell me their love story, but I think we really bonded over the fact that we both found guys that waited five or six whole years to finally marry us....talk about patience right?! In all seriousness, their love story began back in college at the University of Nebraska. They had mutual friends and would see each other from time to time in class, but after graduation they went their separate ways. They reconnected a few years later and started dating again, I think because Drew confessed his love for Ali and how much he missed her (I also think he remembers the story a little differently, but we'll go with that.) 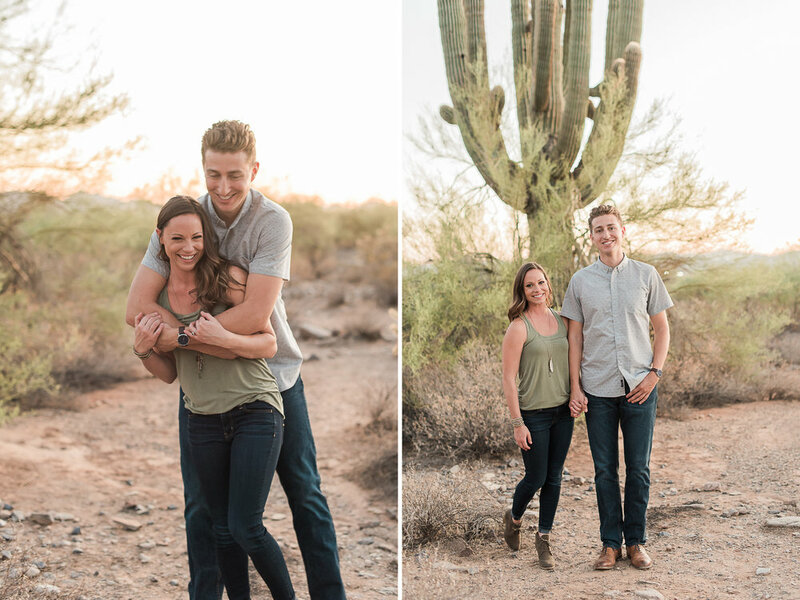 Their love for each other and for adventure brought them to Las Vegas for a few years for work, and now they've finally relocated right here in sunny Arizona! Which I personally love because now Ali has become a great friend of mine, perfect for girls night happy hours with lots of wine and dessert! 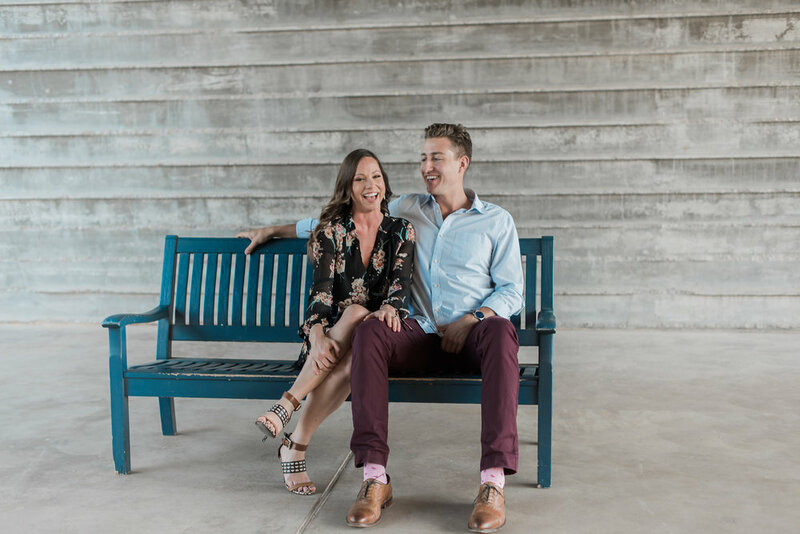 Drew may have taken his time to pop the question to Ali, but he did propose to her while they were on a little work-trip-turned-weekend-getaway in Napa Valley, of all places! 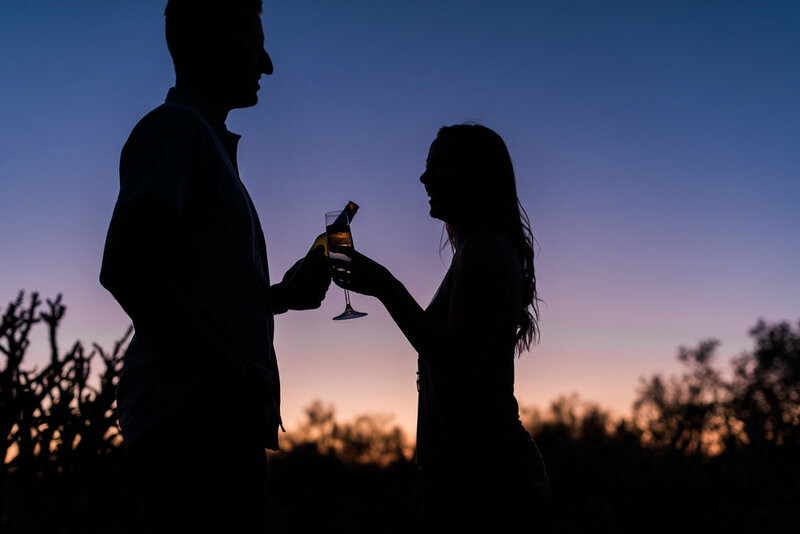 He took her on a picnic and since she couldn't see a ring box anywhere on him, she chalked it up to a really romantic date, taking advantage of the beautiful scenery and gorgeous weather they were experiencing in wine country. But, to her surprise, he did have a ring....a STUNNING sapphire engagement ring! 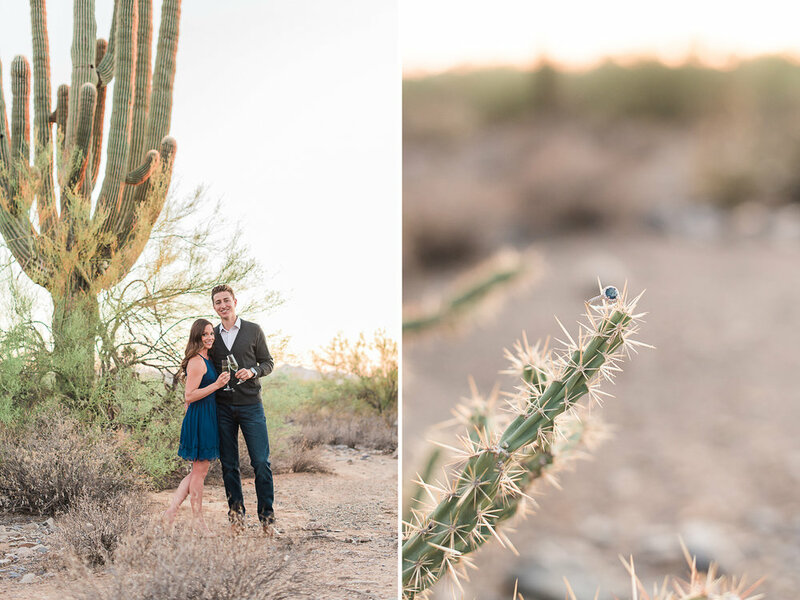 He got down on one knee, and after a few moments of shock, finally slipped that ring on her finger!